Generating Social Advocacy Inside Your Organization. I have spent almost sixteen years as a social media consultant and trainer to executive teams and marketing organizations, and there is one aspect I find more truthful by the day; that the social media effect ripples throughout an organization and affects all it touches: employees, shareholders, clients, industry media and potential customers. Today it is critical for B2B organizations to take hold of social media communications from end to end. This means social media strategies and implementation from initial employee onboarding, marketing, customer service, to sales and brand reputation. In the end – total Social Advocacy. Oh yes, there is a LOT here to discuss. Thus, for the sake of this being a blog post on social advocacy, I have decided to craft this into a new series, and I will begin with the The Role of the Executive and Social Media. To preface this, I made a short unedited video below just to frame this social conversation. It focuses on immediate tips as to how executives can bridge communications with their generally younger social media staff, the millennials. Watch the video, and then please read on for my advice on the optimal executive role related to social media marketing. Fact – Technology and proper social media marketing can and will uplift your brand. This means more impressions, which can generate targeted media and customer interest. Therefore, you must embrace it, understand it and own it. So how do you do this as a senior level executive, even a member of the C-Suite? 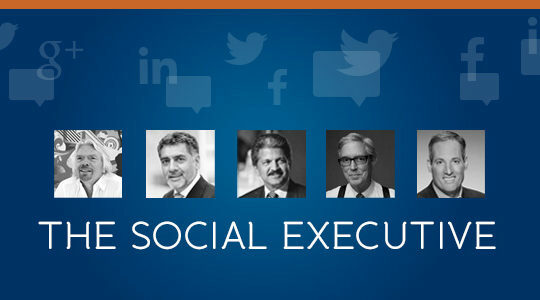 How do you create a culture of social advocacy while still delivering profitability to your shareholders? By understanding how Social Media fits inside your organization. Brand perception – This is a biggie! Your online brand today is equally as important as your offline brand. Period. If you understand this, and that social media plays a tremendous role in how your brand is perceived, then you understand that having a social media strategy that aligns with your company brand values is critical. Leads – Social Selling in the B2B space (which is my personal specialty in working with my corporate clients) happens by creating a true social brand on an individual level – yes, the C-suite – and then using the brand to foster relationships (media, target customers, community) that generate long-term, ongoing leads. Talent Acquisition – Just as social media can be a wildly effective sales tool, it can be just as beneficial in the realm of hiring. Fundamentally, the truthful perception that your employees feel motivated, embraced, but also challenged, will emerge through social media and leave you and the organization as a beneficiary of what was just mentioned – word, of, mouth! Market Leadership – In a way, the social media landscape is its own market, its own currency, and it needs to be regarded as such. The prevalence of social media sites can enable those who do not hold the largest market share in their industry, to begin approaching doing so. I will return soon with my second chapter, and second key fact, to begin maximizing the success of your business via the exponential power of social media.